How to Create a Blu-ray ISO File? How to create ISO files on Mac? ISO Files, as everyone knows, are image files that contain countless VOB video files used on a standard DVD. Generally users could easily download the ISO image, burn it to a DVD, and then use them like traditional, physical and disc. Sometimes you happen to have many MP4 videos and you’re eager to burn them onto a DVD. Yet you have your mind in a fog on how to put the MP4 videos onto a DVD. Eventually, and because there was no other way out you just listen to the suggestion you friend make. You tried several programs to convert MP4 to ISO and burned them to a DVD but didn’t work smoothly on regular DVD players. Here in the article you would find a good way to solve the problem, and learn the detailed steps on how to convert MP4 to ISO with the easy-to-use Leawo DVD Creator. Leawo DVD Creator could help you directly burn MP4 to ISO file on your computer so as to let you freely store your MP4 movies in DVD ISO image file with ease. It could convert MP4 to ISO in either DVD-9 or DVD-5 according to your personal requirements. ☉ Convert all video files like MP4, AVI, MKV to DVD format fast. ☉ Create DVD-5, DVD-9 disc, folder and/or ISO image without quality loss. ☉ 1-click operation to create photo slideshows and burn to DVD easily. ☉ 1-click ISO image burner to burn ISO image file to DVD disc. ☉ Multiple built-in menu templates and edit disc menu with personal preferrences. ☉ Easy edit video effects, support 2D to 3D conversion. Free download and open the powerful Leawo MP4 to ISO converter with its user-friendly interface. Click on the software icon on your desktop to launch it. The software offers three ways for you to add MP4 videos to the program: click "Add Video" button to add your desired MP4 videos to the software, or click the invert triangle buttons near the "Add Video" icon and then choose to import MP4 videos, or directly put the drag-and-drop target MP4 files to its interface easily. If you want to customize your specified output DVD movie just do the settings of the disc menu from the right sidebar. The software brings many kinds of choice to users and the variety of choices enable users to make more varied disc menu. You could just click the big green "Burn" to switch to the burning settings panel. There’re several options for you to choose like Burn to, Disc Label, and Save to. You could choose "ISO File" under the tab "Burn to" and choose the desktop under the "Save to" tab. Click the "Burn" button to start to convert MP4 videos to ISO video files quickly while preserving its original quality. This great Leawo DVD Creator just enables you to convert MP4 to ISO DVD directly and burn them to DVD disc directly with high quality. After finishing the converting MP4 to ISO file, you could find the converted MP4 videos on your desktop and freely back up ISO files on blank DVD disc with ease. There’re three options under the "Add Video" button, choose "add ISO files" directly to the software. 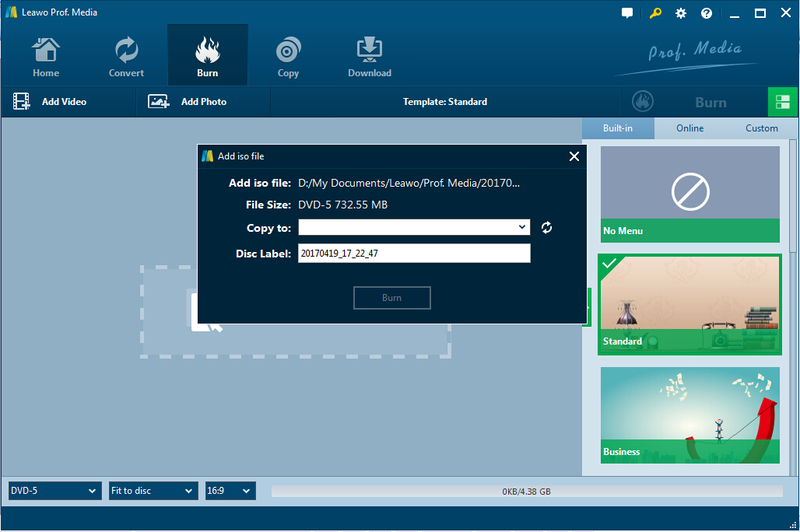 On the whole, Leawo DVD Creator is the considerate and useful software with many powerful functions available that are quite flexible and have a number of options. 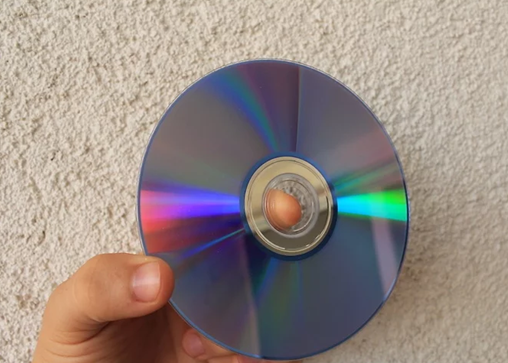 The created DVD disc (DVD-9/DVD-5 disc) by the program could be played back freely on any DVD player, without any region code restriction and DVD disc protection. It could help users to enjoy the advantages of DVD digital life.